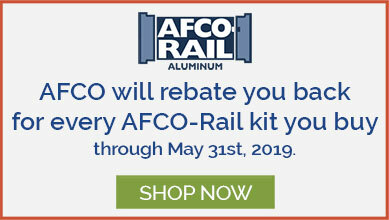 Deckorators brings you a new aluminum railing system. This system is designed to work with all of the Deckorators balusters, including the Deckorators glass balusters. Available in black and white powder-coated finish, which helps your outdoor oasis weather the elements. This system offers robust profiles, an eye-catching appearance and comes in 36" and 42" rail heights. The 6-foot on-center railing system features predrilled rails for ease of installation. An innovative cap and insert system allows you to snap on a cap rail without visible fasteners. Full 4" x 4" post sleeves slide over 4x4s for a system that's ideal for remodels and new projects. The rail and cap rail are sold in kits, and colors can be mixed and matched. Stair bracket kits are available for your stair rails as well as angled wedge kits for 22° and 45° rail angles. 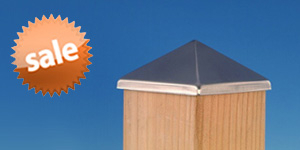 To give your outdoor project the finishing touch, solar post cap lights, pyramid post caps and trim pieces are available. 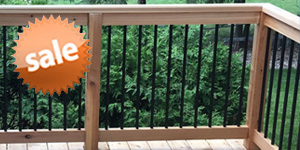 This railing system is compatible with all Deckorators balusters styles and features a lifetime limited warranty.